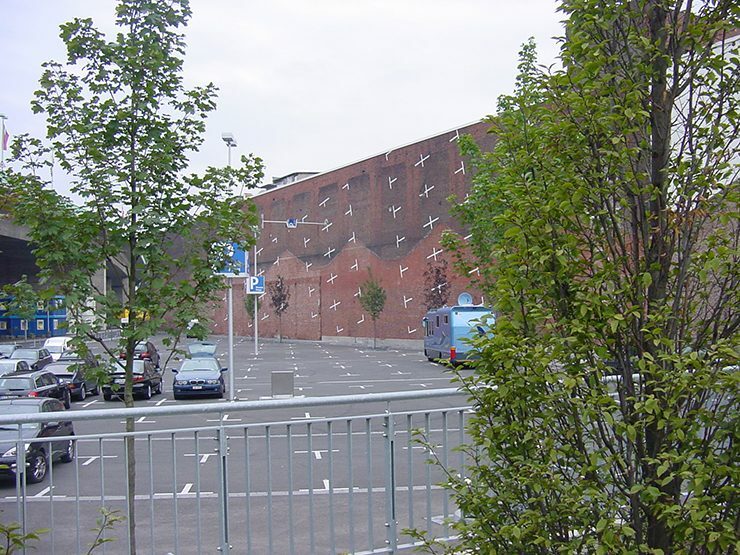 The press car park for the Cologne Fair is located at the spot where the connecting road between Deutz and Mühlheim passes under a bridge (Zoobrücke) as well being surrounded by streets of different functional and spatial nature. 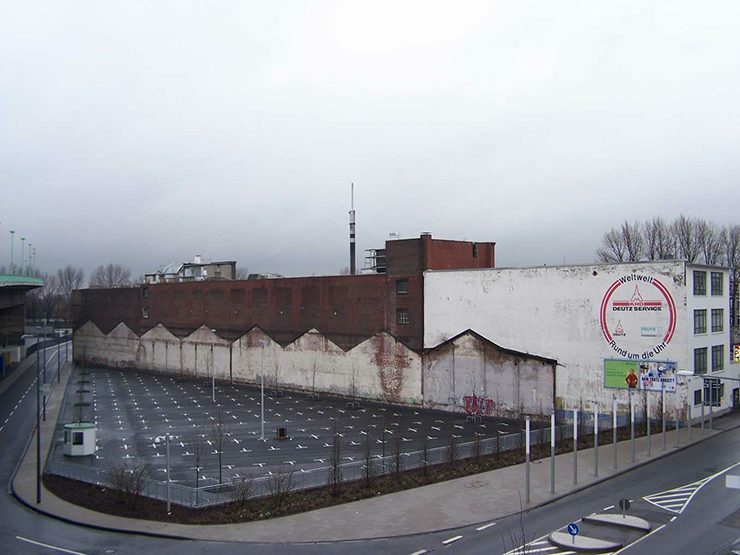 A bewildering but also typically disregarded urban space, functional in essence with a lack of attractiveness – an urban leftover. 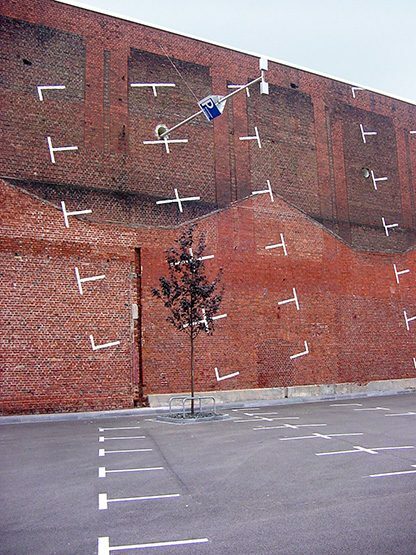 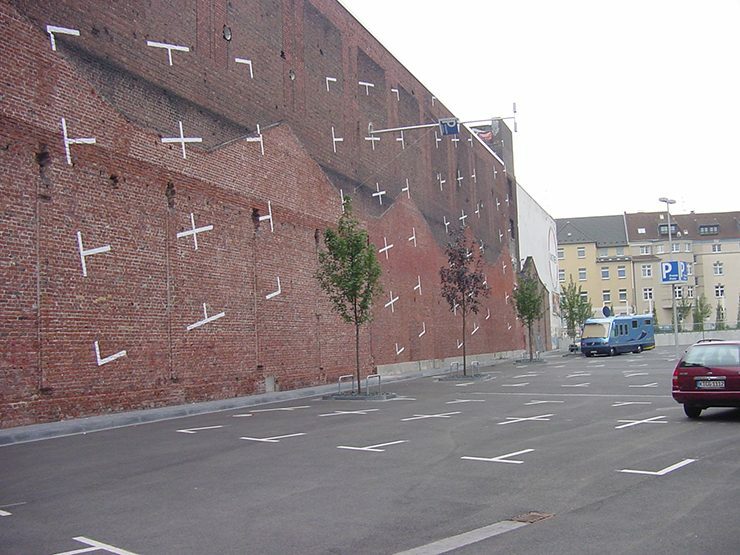 Interpreting this space with its numerous traffic signs and graphics as an artistic piece, Anwohnerpark repeats the existing carpark graphics on the party wall of the Kunstwerk. 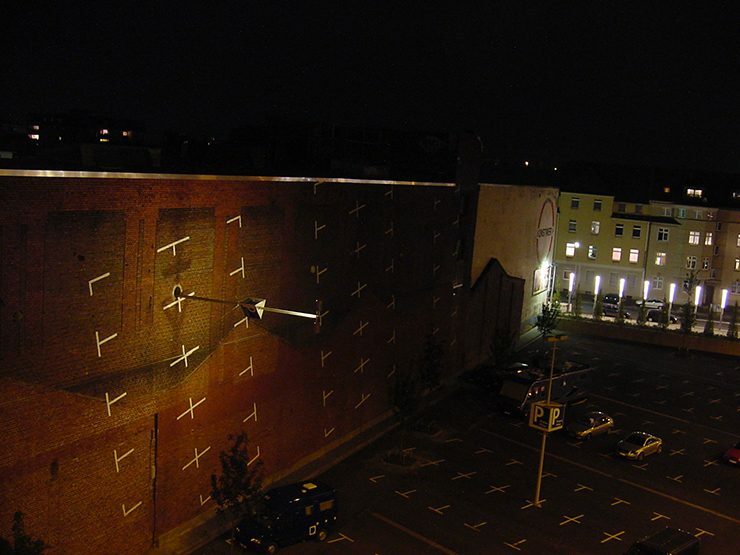 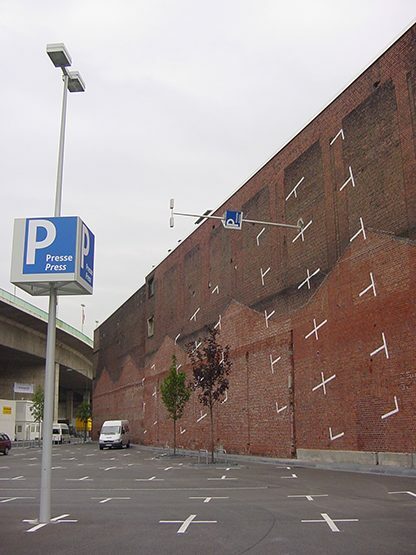 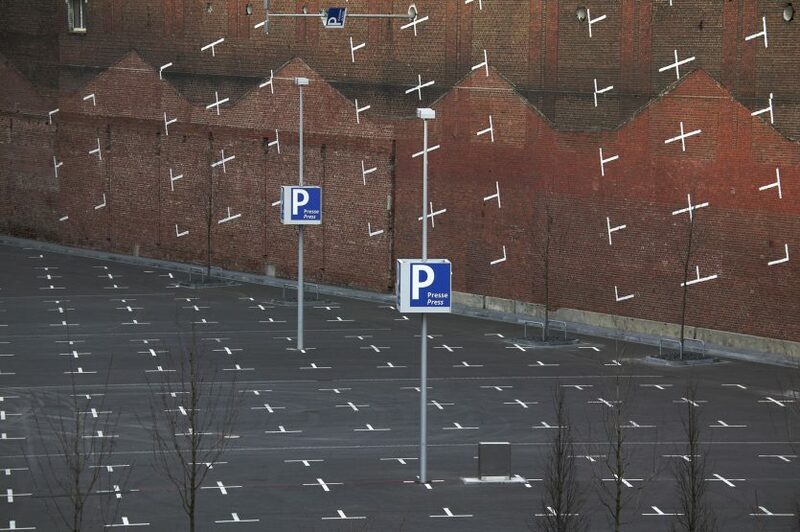 well as abstract graphic not only became an icon at a prominent spot of a difficult urban space, but also solved the issue of parking space for residents in a simple and sustainable fashion, 36 spaces as required in the regulations.